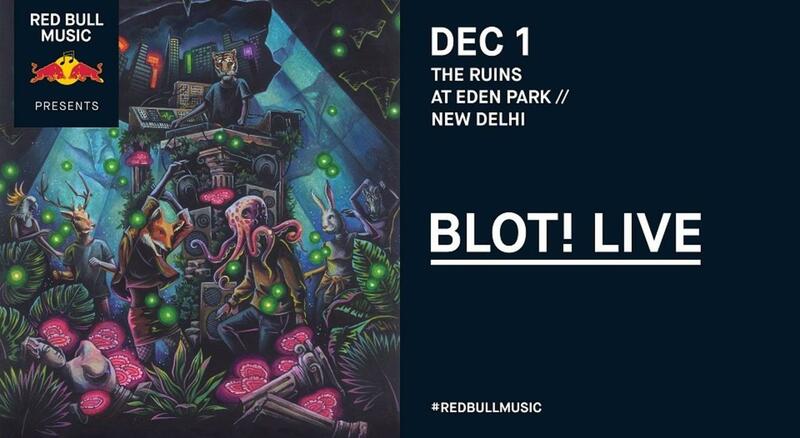 Red Bull Music Presents BLOT! Live in Delhi - Among the most anticipated debut shows for an independent music artist out of India. The live show is titled Paradise Lost, a direct reference to the poet John Milton’s work. Straddling art & design, party and performance this show is an anthology of all BLOT! work in a 3 hour live set within an immersive environment at an abandoned hotel in New Delhi. A full length album on Universal Music in 2013 as well as a more recent release on iconic label Diynamic Music, he is one of India’s most sought-out producers, and performs at club and festival dates all over the country to an extremely loyal fan base, which is rivaled by few. Enter 2018, Malaker recently unveiled his highly anticipated live show with Red Bull Music in Mumbai, presenting almost three hours of originally crafted music. Always working with an immense eye for detail, his music was accentuated by a high level of event production creating an ideal world for listeners and dancers alike. Warm analog sounds, classic synthesizers leading into productions that are deep and delicate in equal measure are still very much a BLOT! signature - destined for the dance floor, but at home anywhere.